The BMW X6 is in the spotlights again, while its modified version, the X6M, was rendered online in a completely new perspective. We are talking about a rendering designed and posted by the famous designer X-Tomi Design, which shows the X6M making use of its aggressive body style and lots of torque. 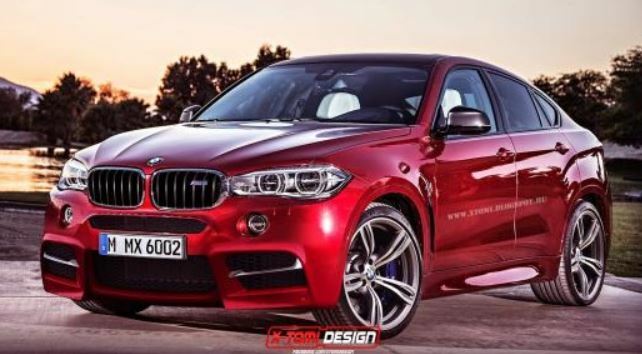 Even if the 2015 BMW X6M is not coming, at least not right now, the future SAV would come with a twin turbo engine V8 under the hood, capable of developing 550 horsepower. To be a reminder, the 2015 BMW X6 was unveiled just about a week ago, the SAV coming with a lot of similarities taken from its sibling X5. We might be talking thus about some fine tweaks inside, like dual-zone climate control, knee pads which are mounted on the center console, or the luggage space, that now offers 1,525 liters. The 2015 BMW X6 will be available as the xDrive30d model, as well as the M50d, xDrive50i, soon followed by the xDrive40, xDrive35i and the sDrive35i.